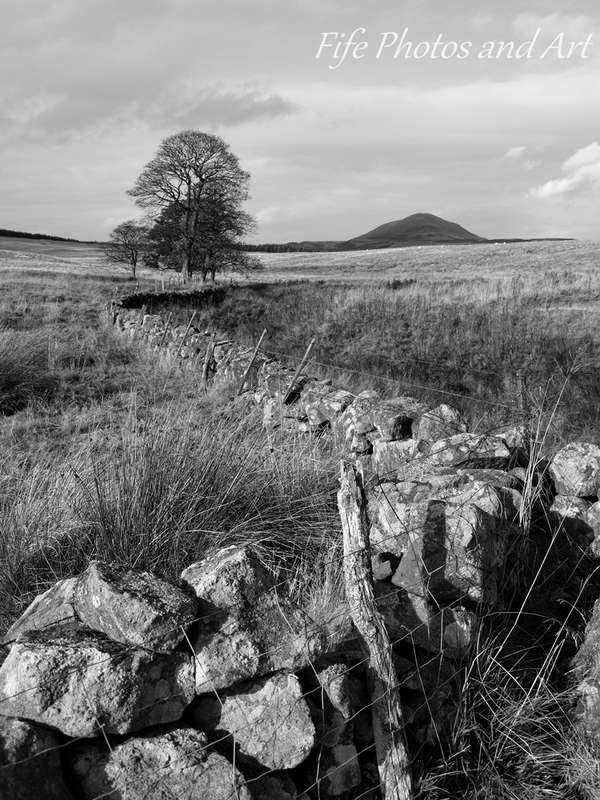 This entry was posted in Fine Art Photography, Walks, Wildlife and tagged black & white photography, Fife, Holl Reservoir, landscape photography, Lomond Hills, nature, Scotland, walls, West Lomond Hill. Bookmark the permalink. 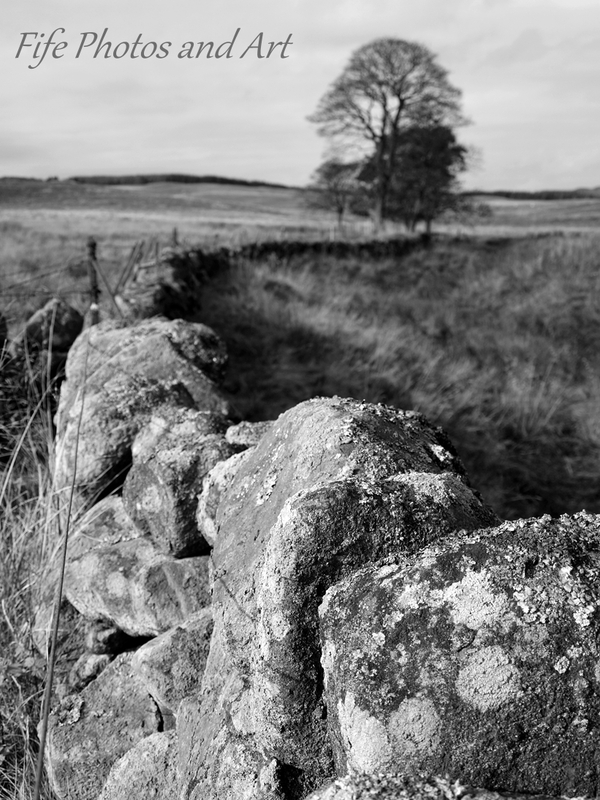 I especially like the image of the wall zig zagging towards the tree through the grasses. That’s a really successful composition and a lovely capture of contrasting textures. Thanks Laura 🙂 That was one of my favourites too. These are wonderful shots, Andy. It hardly looks like October. Thanks Lorna 🙂 It certainly wasn’t the best of places to catch the Autumn colours!! But it was an enjoyable walk and I was quite pleased with a few of the photos. Lovely timeless pics, especially the third one. I love old gateways! 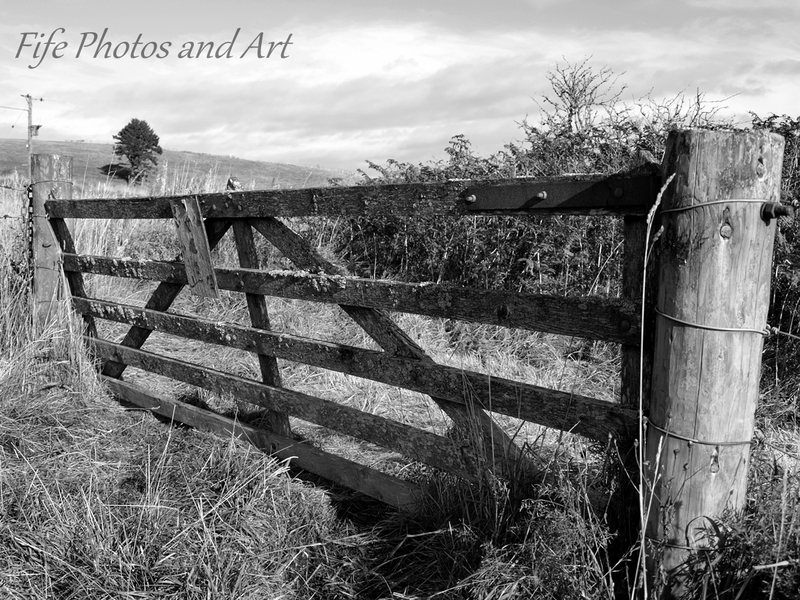 Now that the fall foliage is gone in my area I have been looking at the fences and gates too. I think they will look good when it snows. This is a MOST WONDERFUL collection you have put together here! Beautiful photos of stunning scenery – even without too many trees. 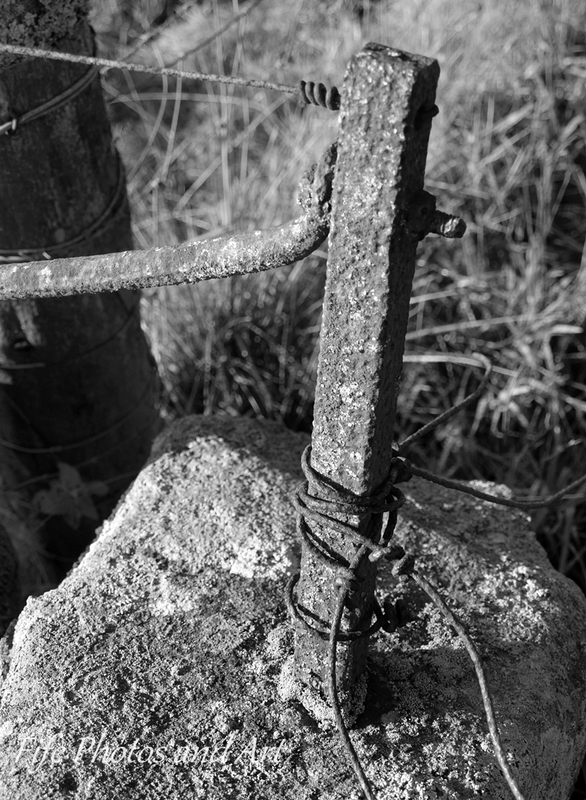 You’ve captured the old stone walls and gates so well, and I love the b/w images. 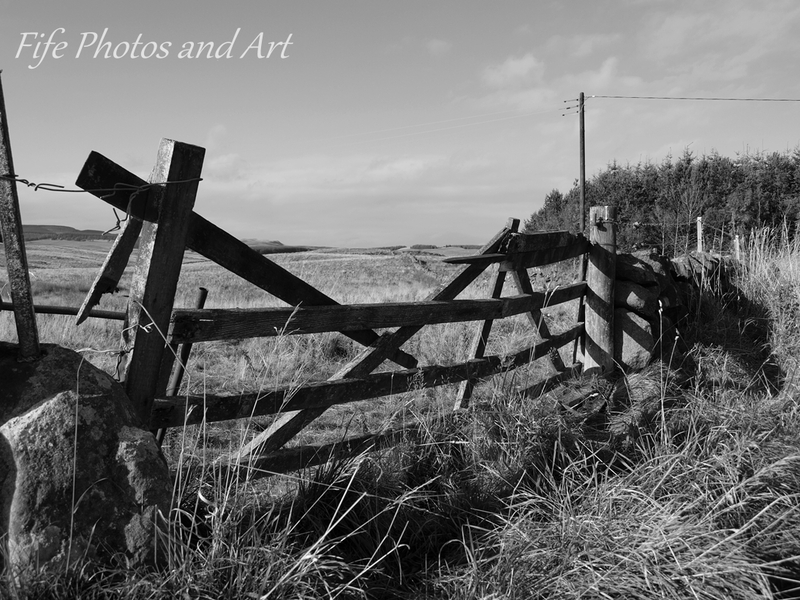 Black and white somehow accentuates the rustic look – like the stone walls and gates, and the rusty fence post. Thanks Millie 🙂 I totally agree with your sentiments with regards to b/w images, a few of the photos were taken in colour too (just in case they were better), but I discarded them as soon as I got home. Your stone walls are very interesting to me. I imagine they are quite old. I agree with Millie. The monochrome effect enhances the feel of the photograph very well. 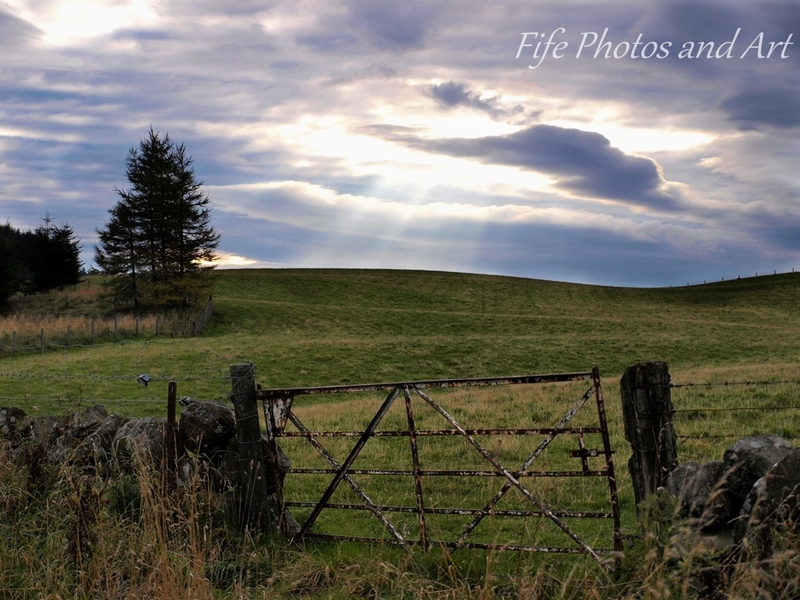 Love the second ‘gate’ photograph and the final one. If they could talk….. 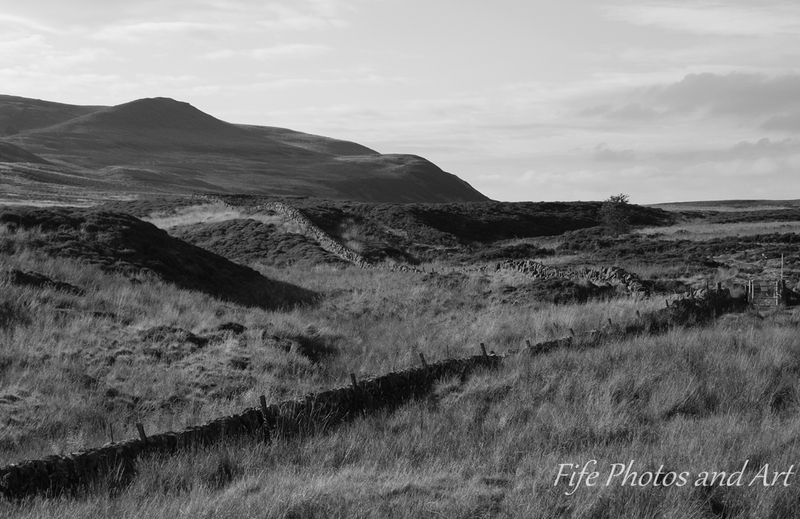 The lomond landscape is a bit like the moon to me!! Is this a silly question : are the soils lacking in nutrients in this area or is it grazing country? I wondered why there is only one tree standing. Ah! If only the Iron Age people understood the ramifications of their actions. How different would the climate of this area be with trees. ( I believe Denmark was more heavily wooded until the Vikings came along). No wonder it is so windy in these areas. It is a bit like the predicted change that is becoming evident with climate change: the beach erosion and rising sea levels. Nevertheless, the area has a desolate beauty! Actually, Iceland has a tree planting scheme in simlar desolate areas, that has involved the whole population at its heart.so that when people go on holidays, they plant trees! There is definitely a desolate beauty to all moorland areas, the Highlands to the north of us are a good example of that 🙂 I hadn’t realised Denmark had a similar problem to parts of the UK with regards to lack of trees. In the UK, it’s all the places where the soil nutrient levels are low, generally places with metamorphic or igneous rocks underneath, ie the whole of the west coast and most of Scotland. The folk back then were trying to improve the land by clearing the ancient forests, but alas, as you said, they didn’t have a long term strategy in place. As you also said Amanda, it’s criminal in this day and age that governments around the world aren’t heeding the warnings of climate change. As a famous geologist once quoted, but put the other way round it’s still true “The key to the present is in the past”, ie we’ve seen historically what can happen with only short term thinking. Reminds me a bit of “the world is flat” thinking! Perhaps in time it will change, but it may be too late! Do you have a background in Geology, Andy? My speciality was Ecology. I haven’t worked professionally in that field or environment science which is my main interest for many many years ( I now work in Allied health!) So I think I’d also be classed as an amateur these days! I will have to check out Lorna’s blog. Thanks. You have summed it up succinctly and accurately. I had some training for the allied health field I work in now, but in a round about way. There is a school of thought that says no matter what your main area of training is, you will come back to where you started/aimed for. That applies to me. Started out interested in community health and via a round of many jobs ended up in allied health. This I think will be my last job/profession before I retire. My kids are impressed with the variety of work I have done, but I warn them… it means you become a jack of many trades but master of none!. Still I love my current job and the evnironmental science/ecology is but a hobby. What about you? My interests as a kid, and now as an adult, have always been geology and nature in the UK. I’ve now broadened those interests to include photography and history, amongst many other lesser pastimes. Work wise I was very lucky with my first job, it was as the geological technician, in charge of four labs which dealt primarily with the extraction of micro fossils from rock samples 🙂 Unfortunately, the company I worked for went out of business back in 1998 😦 I’ve since worked in a large photography firm, but that was more like working in a factory than working with photos, it was all mass production. I’ve also worked in a supermarket and driven a minibus delivering people from one location to another. I like your description of yourself, a jack of many trades, that sums me up exactly 🙂 I’m definitely not a master of any of them. Sounds like you had a varied and well grounded career, Andy. These days that would be considered to be very much an asset, if you were job hunting, I think. When I was younger, changing one’s job too often or at all, was frowned upon as it was considered unstable to switch careers!! So nice that people can try several things in differing life stages to accommodate lifestyle preferences. Although the job market is much more protracted than in previous decades, so it isn’t always easy. To be honest Amanda, if I could have stayed within the geological field, I would have. But personal circumstances meant I moved back to Cornwall, and geological jobs are non existent down there, as are most full time jobs in tourist areas in the UK. But still, I’m happy with the way things worked out. Oh that’s a shame. Back in 1989 when I graduated with a Env. science degree the few jobs were in remote areas like Kakadu (think Northern Territory, outback, crocodiles etc or mines (also think outback remote, red dust and no medical facilities and I was pregnant. This made me change my career path!! It is a shame though and I sometimes ponder, as I am sure you do, the what ifs! Yes Kakadu esp. Is a wonderful place although I prefer the colder climates and not the heat! Interesting to read about geology, and ecology. 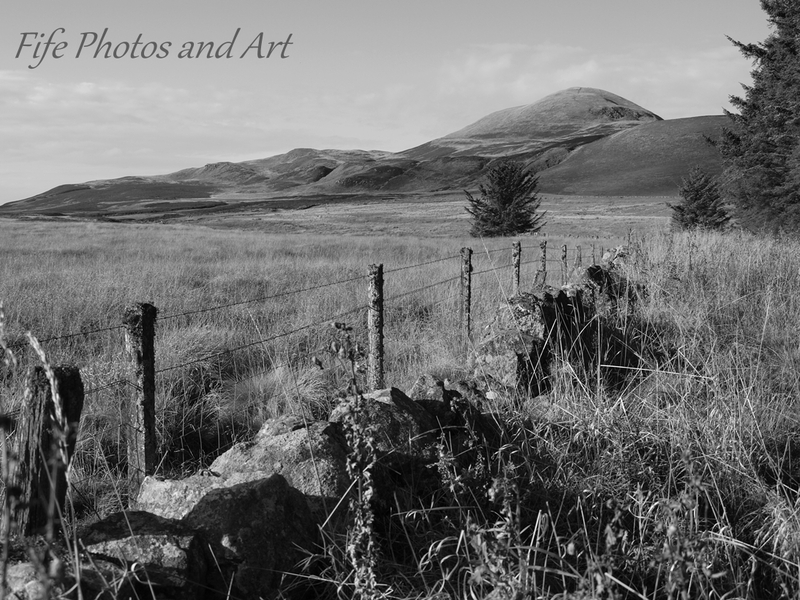 My own impressions of your photos, especially the black and white ones of the fences and walls, is that it looked like my Grampa’s friend’s ranch in Northern California! Wonderful gallery, Andy. 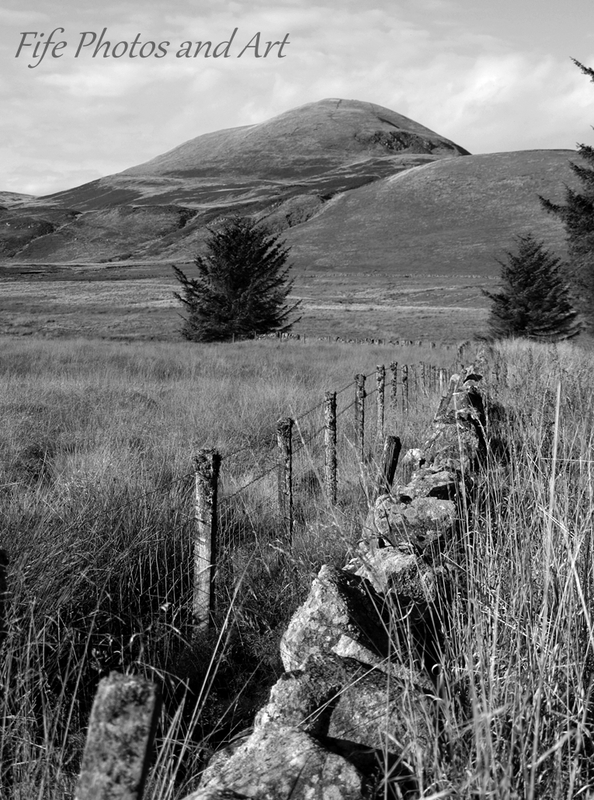 The black and white is perfect for this barren landscape. 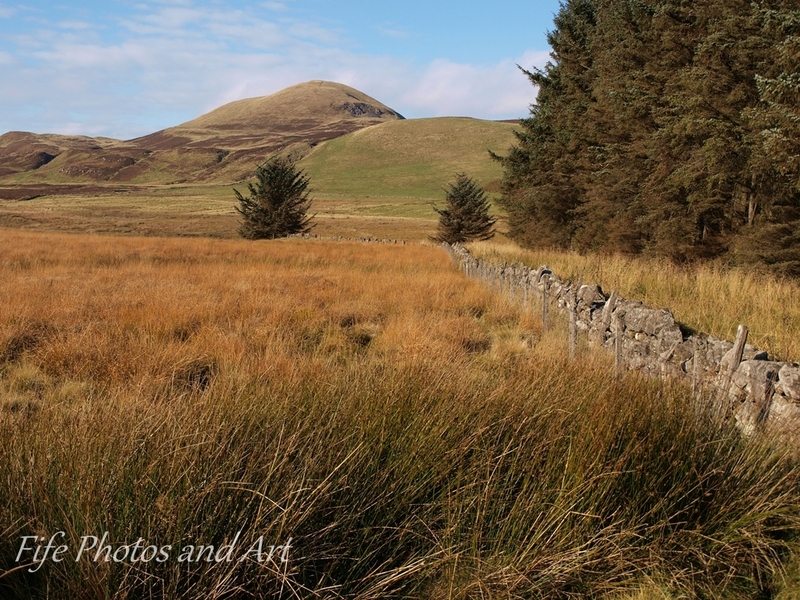 I very much enjoyed the comments and learning why the highlands have so few trees. Once again, I am amazed and humbled at how old things are in the UK. 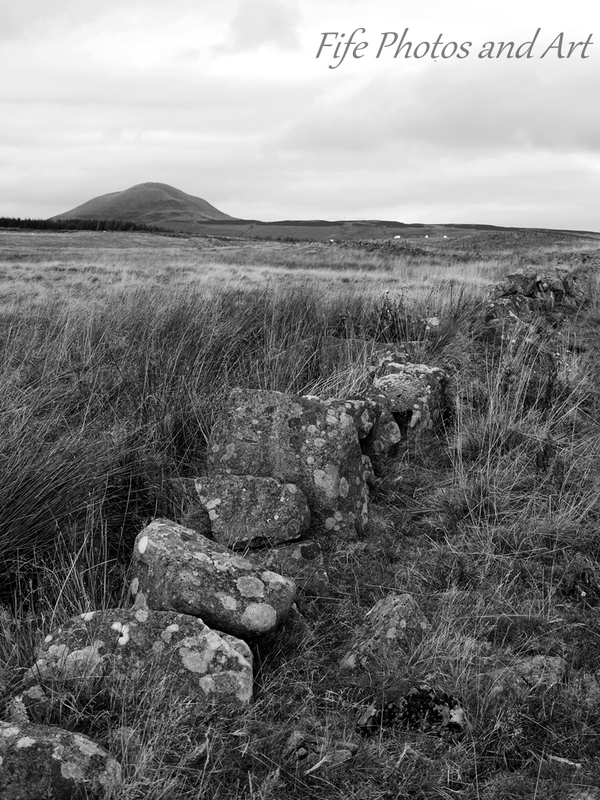 Even the bleak landscape (which I love) can be partially traced back to pre-Roman times. Incredible! Thank you! Gorgeous landscape and light. So happy to see your work. Nice. Thank you very much Ruth 🙂 We do have some fabulous scenery around here in Fife.